…what inspired this little bundle in the first place (besides the obvious)? 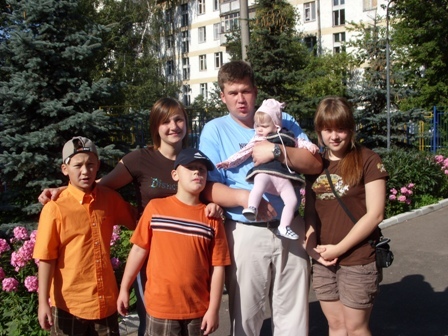 About a year ago, we had a couple missionaries our church supports from Russia visit the states. They needed a place to stay for a month, so we thought (sarcastically) that our 300 sf. Venice apartment would be the perfect place. Since most apartments in Russia are about that size with large families living in them, it actually did work out perfectly. It reminded me of living with my roommate at college (“as iron sharpens iron…”), only we were two couples doing the same. I got to hear about Christians in a part of the world so different from our own. I’ve made a little pact with myself to find the things people say they wish they had done earlier in their lives, and that little line really did it for me and Rebecca. I know you’re all waiting for more baby pictures, and I have a big pile to upload. They’re coming soon. thehubbardscubbard on March 16, 2009 at 4:56 pm. My parents say the same!!! Congrats!! !